You don’t want to spend time to find the right trading partners manually. SAP Business One’s Retail community enables you to ask questions to the community for items and proactively connect with vendors that meet your unique needs. You can connect to the suppliers who are attributed with eCommerce and drop ship capabilities. You can exceed unique consumer expectations with flexible fulfillment options that are built to enhance more collaborative relationships with trading partners. 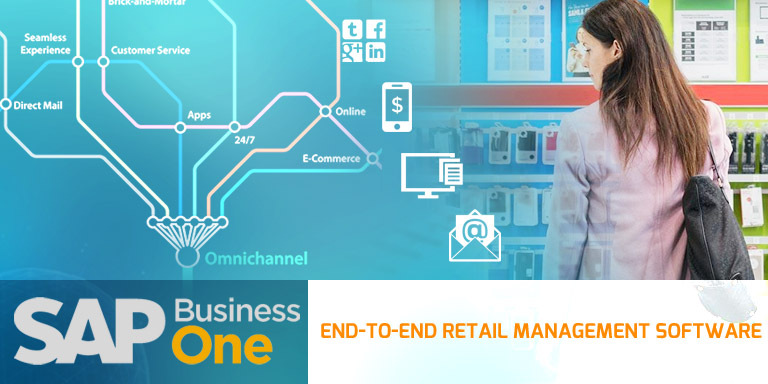 SAP Business One strengthens your connection to the retail industry’s largest network, so you maintain a seamless connection with all the trading partners you do business with, now and in future. A hands-on, personal approach to community development eases enablement with reliable compliance solutions that increase adoption rates and enhance your business relationships. SAP Business One uses proven processes and tools and provides support services to ensure 70 to 90 percent vendor compliance within a few short months. You can easily ask suppliers to share their latest product assets including all the detailed item information like pricing, images and videos, and marketing content. This ensures you have access to all the necessary information needed to execute sales as well as drive efficiencies to provide online shoppers with more in-depth details. You can gain real-time access to orders and identify potential disruptions before they occur and impact your business. SAP Business One retail analytics help transform difficult-to-deal-with items and sales data into insights you need to make more informed decisions. You will be able to shift product assortment quickly to meet consumer demands and boost profit. Analytics tools help your suppliers become more proactive partners, giving you the visibility you need into their performance via user-friendly dashboards and reporting to enhance collaboration. SAPS Business One empowers your relationships with trading and supply partners. It helps you lead a successful omni-channel strategy. By streamlining collaboration, maximising inventory and connecting to industry-leading traders, you’ll be in a position to meet some of the most common retail challenges while capitalising on new profitable opportunities. If you’re still using applications like QuickBooks or Microsoft Excel Spreadsheets and realise that you are not able to keep up with an omni-channel consumer’s expectations, it’s time you consider choosing SAP Business One. You can call us on +44 – (0) 203-872-5140 or e-mail at info@silvertouchtech.co.uk .